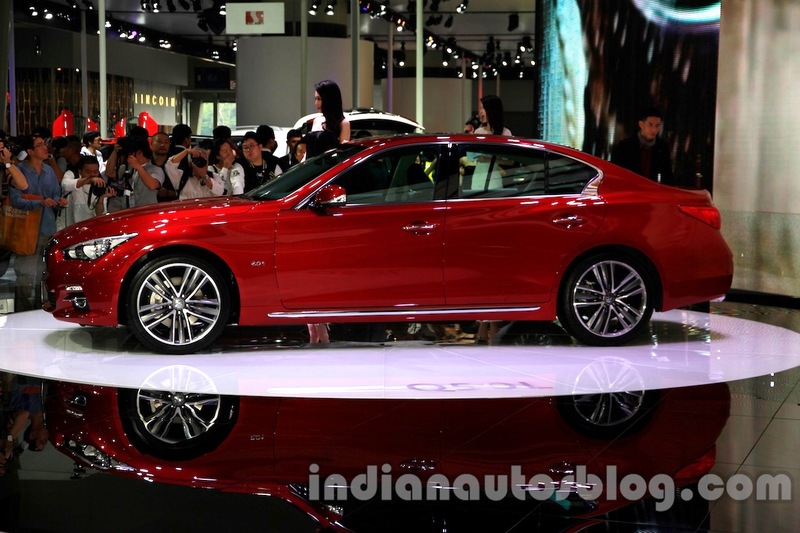 The Infiniti Q50L, the stretched version of the premium sedan, is on display at the Guangzhou Auto Show 2014. The China-only model celebrated its world premiere at the Chengdu Auto Show earlier this year. The Q50L gets its wheelbase extended by 48 mm, most of which goes into making more space for rear seat passengers. The car measures 4,852 mm in length and 2,898 in wheelbase. 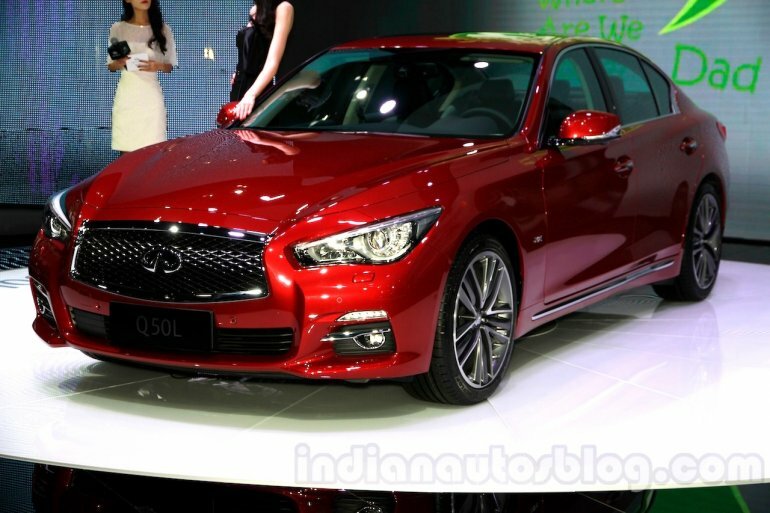 While the Q70L is bound for the US and Canada, the Nissan-owned premium carmaker has announced that the smaller Q50L sedan is exclusive for the Chinese market. Available in Comfort, Elegant, Sports, Luxury and Luxury Sports trims, the sharply styled sedan will go on sale in the country this month. 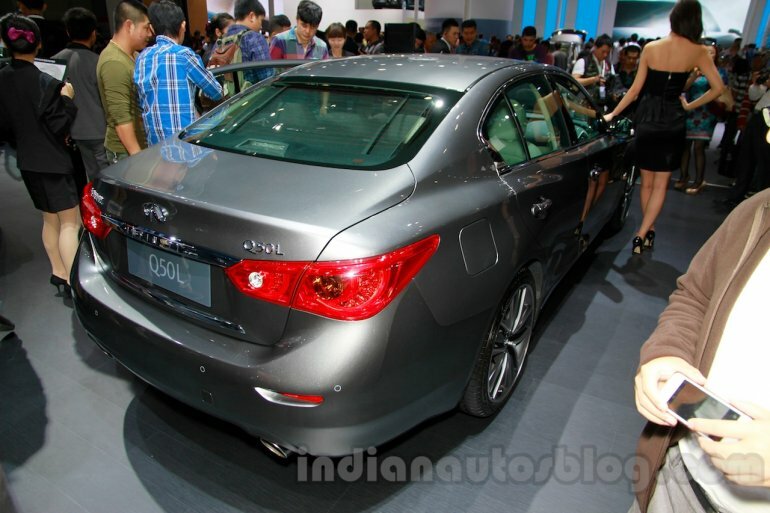 The Q50L is the first Infiniti product to be manufactured in China, at its new Xiangyang factory in Hubei province. A 2.0-litre inline four-cylinder petrol engine performs the propulsion duty in partnership with a 7-speed automatic transmission with a manual mode. Power and torque figures stand at 208 hp and 320 Nm respectively. Details of the equipment level can be found in the press release attached below the gallery.